The best indicator of which areas will have a higher than average Remain vote will probably be the percentage of people with higher qualifications, followed by non-white ethnicity and people aged under 40, although I’m not sure the age factor will be independent of the other two variables. In other words younger areas will have higher Remain results but only because younger people tend to have a higher number of graduates and be more non-white than average. I’m not sure. Younger voters according to polling are overwhelmingly, almost monolithically in favour of staying in. The factors you outline will be part of it, but surely not all. Also relevant is probably having grown up in the EU and not having been aware of a world without it. Thanks, but I’m not sure we are entirely agreed. I think there are clear demographic differences that divide remain and leave voters, most of which have been outlined by me and others on this thread. These are not necessarily along party lines but can be used to construct a fairly good idea of which areas will be more favourable for each side, as the political scientist Matthew Goodwin has done. Maybe, though you might argue experience of the immediate pre-EU world (the late ’60s and into the Heath years) makes a strong case for remain. The fact that young people have grown up in a very inter-connected world where borders have limited relevance is probably the key factor – the arguments about ‘sovereignty’ and reducing immigration just don’t resonate with young people in the way they do with people that are, say, 35+. People of my parents’ generation (aged 60-75 now), almost without exception, remember that period with great affection. From the Beatles in the early 60s up to the end of Glam Rock in 73/74. The bit of the 70s they don’t want to go back to started with the oil crisis and 3 day week of 73/74 up to the winter of discontent in 79. All of that was after EEC membership. Probably true, though that is a very rose tinted view of the late 60s – a period of poor economic performance vis-a-vis the continent, growing trade union militancy, rocketing inflation and unemployment at its highest post-war level up to that point. Of course people always have rose-tinted views of the past – especially the period in which they grew up – so it is not that surprising that people are willing to put aside the bad things and remember the good. I have on several occasions, and repeat now, the unpopular view that the United Kingdom was ruined in the twentieth centruy by declaring two major wars, neither of which we could afford, however morally justifyable the Second World War was (or was not). Matters were made worse by the United States’ bad and unfair economic treatment of the United Kingdom after the Second World War, for instance by reneging on promises to share nuclear development.s. The United Kingsom was eventually bailed out by North Sea Oil in the 1980s, although even then the funds were (and continue to be) appallingly misused by Thatcher and her cronies to increase economic inequality and to cow the population by running down industry. It should be remembered that the UK’s loss of a quarter of its industry between 1980 and 1983 was worse than anything Germany suffered during the Second World War. We should of course have created a Sovereign Wealth Fund, like Norway and a number of Middle Eastern Countries (and Shetland! ), This was proposed by Labour in 1983 in the only Election Manifesto in living memory NOT to have been a “suicide note.” It is an interesting psephological question as to why a document that was largely right should be vilified and insulted for a very long period of time. Perhaps two other questions arise here relating to the psephological concerns of this site. Fristly, is it possible to set up a situation in which political parties that set out policies which will increase economic wlefare, and reduce economic inequality, actually get elected?! Secondly, we now have the prospect of a United States government under a Sanders Presidency which will actually undertake reform, indeed socialist reform, which will have a programme of addressing the feedback loops of the American capitalist system that currently give more and more money to the very rich. Many people in the UK will be fully supportive of this programme, by for all but six months of the first Sanders term (and as he is well into his seventies we must doubt whether he wil be a two term President) we will, short of a Revolution, have a UK Parliament deeply opposed to US policy. 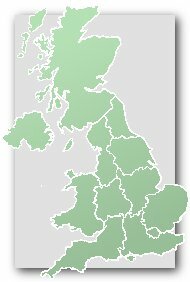 It is an interesting question as to whether a Sanders Presidency will bring more people to support a Corbyn regime in the UK, particularly given the anti-United States contamination of the record of leading Corbynistas, or whether it will lead to a take-off of the Green Party, including the President’s brother. There are diffferent serious questions to be asked in the less likely event that Trump becomes Amercian Presidednt. My personal view is that I have lived through one long economic disaster in the UK, but coming back to recent posts people do like to have a rose-tinted view of their earlier years. So they are turning their back on economics and policies and remembering Brisiths pop music of the sixties and seventies. How sad. Lastly (for the moment! ), what great pop groups and singers are emerging in the UK NOW who will bring wealth to the UK and be remembered fondly in the 2060s? You make an interesting point about the impact of a Sanders presidency. I don’t think it is all that likely but then again he would look like the moderate in a contest with Trump (though in such circumstances Michael Bloomberg would probably run as the voice of relative moderation). I think a Trump v Sanders contest is now a possibility, no matter how unhinged that may have sounded just a few weeks ago. Of course Bloomberg may decide to stand as an independent if those two are the main party candidates. Sanders even becoming the Dem candidate is still debateable. He won a primary in New Hampshire (neighbouring Vermont) which is neither representative of America nor the wider Democrat base. South Carolina (large African American population) and Nevada (large Hispanic population) are coming up soon and he’ll have problems if those demographics come out for Hillary. Sanders is still unlikely to win the nomination. A study suggested that in the Democratic Primary New Hampshire (which he won) was his second most demographically friendly state, while Iowa, which he narrowly failed to win, is ranked as number 3. The fact that he couldn’t defeat Clinton in Iowa does not bode well for him as most of the primary electorates in future states are much less Sanders friendly. As Neil suggests Sanders is very likely to be sunk by Clinton’s ‘Southern firewall’. People were very slow to see a Corbyn win in the Labour leadership coming. We should not repeat the mistake. As I understand it, there has almost been a deal by the Democratic establishment that Obama’s terms as the first Black President would be followed by Hillary Clinton as the first woman. But as I understand it we are at a moment when ordinary voters are very sceptical of establishment stitch-ups, and you can’t get much more establishment than ex-First Lady Hillary Clinton (she wasn’t exactly anti-establishment even before Bill Clinton became President). Bloomberg will have to act quickly now if he wants to be an Independent candidate for President. I agree with Neil that we will know the situation much better once South Carolina and Nevada have had their Primaries. What odds are the bookies offering on Sanders? I am not a betting man (not for political bets anyway) but I must say a wager on Sanders sould be quite tempting, particularly if the odds are greater than 5/1..
Frederic: you can get 10/1 on Betfair Exchange. I was chatting to an American friend last night who expects Hillary to win the Dem nomination before being indicted over Benghazi and Biden being parachuted in as their candidate. I wonder what odds one can get on that happening. I’m in the position of having never lived in the USA but having a vote. I got my Democrats Abroad ballot paper a couple of days ago, so have been making up my mind. What I’ve found interesting though is that every single Labour member – even the most feminist and the most Kendallite – I’ve spoken to about it is backing Bernie Sanders. In the unlikely event of Sanders getting the Democratic nomination he would be slaughtered in the presidential election even by Trump. A right wing loon will always be less disliked in the US than a left wing loon. Andy JS – on what grounds do you suggest qualifications makes a difference on a vote to stay or leave? And Jack Sheldon, there is no way that you have any statistics drawing even a weak correlation between demographic and a vote to stay or leave. Anything you have the sample will be too small, it will be conjecture and pure pseudoscience. It’s much more complex as a question. Hemmelig: Of course Sanders, by European standards, is no left-wing loon – he is probably roughly on a par with Ed Miliband, and certainly doesn’t have any of the foreign policy craziness assaociated with Corbyn. Given that the bookies make a profit on most odds they offer, my head says that there is about a one in fifteen chance of a Sanders presidency, altough my heart says that the odds are shorter than that. Sanders and Corbyn are both part of a grassroots movement currently sweeping signiificant portions of the Western world. This movement is there whatever one personally thinks of it. Well what have European standards got to do with it. It is Americans who will be voting, and by their standards anybody who self-describes as a “socialist” is considered by Middle America the same as how we would consider a self-described communist. No doubt in my mind that any Republican no matter how extreme would flatten Sanders. I think Clinton’s going to be president. I think it’s agreed by nearly everyone who takes an interest in the subject that education levels are one of the important factors. Just look at any articles or academic work on the subject. Publications by Matthew Goodwin for example. I think SANDERS getting the nomination is approx a 20%. NEIL: you’re right about NV & SC but what did SANDERS do, just hours after winning NH? He went immediately to New York City to see Al SHARPTON, the influential black activist, who has a radio show syndicated in 12 cities across the USA. Black voters are 80% DEM, 11% GOP voters – if SANDERS can capture the black vote, he will have a better than 20% chamce of winning the nomination. Anybody whp has held Congressional and the Senatorial seats in Vermont as an Independent for many years, indeed as the only Indpendent in Congress, is going to be a pretty tough cookie when it comes to electioneering, We underestimate Sanders at our peril. I cannot believe that Black US voters are going to go out enthusiastically and en masse to vote for a Democrat as establishment as Hillary Clinton. If they, and/or the Hispanic community, vote for her it will be for want of a better candidate. P.S. Has Jeb Bush totally disappeared as a possible Republican candidate, particuarly thinking of his Hispanic (and African?) support? BUSH spent $35m (by far the most) in NH, came 3rd (just), was embarrassed by a fellow ‘establishment’ figure, KASICH who he hoped would be trounced and wld pull out and he’s a 7/1 fourth in the betting to get GOP nomination. Don’t look good. It’s complete pseudoscience with conjecture about data drawing unfounded correlation and is tenuous at best. I see you’re rubbishing another empirical study that tells you something you don’t want to hear. Only someone with their fingers in their ears could argue against the notion that support for leaving the EU is lowest among those with higher educational qualifications. I have just had a quick look at the study for which D.Alex gives us a link. What was the sample siize or sizes? What werre the response rates? Were people sampled randomly or were there quotas? On what date or dates did the surveys take place? How were the surveys conducted (e.g. face-to-face, on-line, telephone)? I actually have the impression that it may be secondary data drawn from other studies, in which case we need the above information for each study. On my quick glance, and it was only a minute or two, I am inclined to agree with D.Alex’s conclusion that the study is pseudoscience; but I am open to correction if somebody shows us where we can (easily) find full information about the study including the above details. I’ve been giving the idea that ‘young people’ are more likely to vote to leave the EU some more thought and I cant see any basis to it. Across Europe, left movements against the EU such as Syrizia or Podomos are made up with people predominantly under 30. In France the Le Penn’s movement against the EU is made of people under 30. The Corbyn Momentum movement (allegedly) consists of people under 30 yet allign with the left wing movements of Europe. I’d suggest the young, will also be voting to go because the two sides of the campaign are Goldman Sachs and big banks vs everyone else. I was under the impression from the opinion polls, that older people are more likely to vote to leave the EU than younger ones. I personally have not forgotten the outrageous way that the “Yes” campaign in 1975 LIED about staying in the Common Market not being a loss of sovereignty. I have also not forgotten the way politicians over the years, contrary to promises made at the time of the 1975 Referendum, repeatedly gave away powers to Europe without getting consent from the people of the UK.. If the EU were honest, which appears to be asking for the sky, I would very gladly sign up for closer integration. But the EU is far from honest. For starters, their accounts never get signed off. My personal theory as to why younger people are more likely to vote to stay in Europe is that they are likely to have youthful idealism, and they have not been trampled on before by the anti-democratic Eurocrats. What on earth can we do to pursuade them of the errors of their ways before it is too late? Personally, I voted Yes in 1975. No way am I making that mistake again. Finally, the latest news is that the United States Secretary of States is insulting the British by intervening in the EU Referendum, explicitly asking to remain in the EU. Is this the US that repeatedly gives the the Birtish worse terms than European countries, extorting higher defence expenditure out of us and refusing us money for economic devleopment, particularly in the early post-war years. The US intervention makes it even less likely that I for one will vote to remain in the EU. Of course, if the US were to give the UK a Treaty giving us of the order of £100 billion a year subsidy, in perpetutity, to stay in NATO and the EU, we might reconsider. P.S. While I am here, what our the chances that all the EU states will accept the terms being offered to the UK later this month, minimal as they are. I would have thought the chances are low because of the way EU politicians work on the basis of blackmail. And let us make clear that as the concessions currently being offered to Cameron are so minimal there is absolutely no chance that any further watering down of the proposals be acceptable to the UK: on the contrary, we need to be offered much more. I am sorry if this post is from a personal perspective; but I suspect, again not least from the opinion polls, that many people think like me. No different to British and other Europeans telling the Americans who they should vote for every 4 years, though I don’t think the British public will take any notice of what the Americans think on this. If it weren’t for the Americans you would have been born in extreme poverty under the Third Reich, if you would have been born at all. And if it weren’t for the Americans we certainly would not have won the cold war. The American public rightly believe that Europe including the UK should pay more for their own defence and not expect to freeload on the US. H. Hemmelig. I am not rep;lying to this. except for two points. Firstly, So far as I know, British people do not interfere in United States elections. Secondly, The United States made Britain pay through the nose for lend-lease. A third point. After he had conquered France in 1940, Hitler was mainly concerned to attack Russia. He gave Southern France quite generous terms. I have tried looking up online what terms he offered England (e.g. in his Reichstag speech of 19th. July), either then or in May 1941. Details are lacking. I doubt if the UK establishment wish us to know. However, all the indications are that Hitler would have left the UK alone providing we didn’t interfere with his invasion of Russia and providing certain detailed provisions, notably the return of Germany’s African colonies, were met. There is NO indication that Hitler would have reduced England to abject poverty or starved our people. On the contrary, he would have wished the Britisih people to be sufficiently comfortable that they would not object to the Nazi invasion of the USSR and the defeat of the ghastly Stalin. In respect to food, we would have been considerably better off than actually happened as a result of the U-boat war. And we would not have spent billions on bombing Germany or on the 1944-1945 invasion of Europe. This is not to mention the reduction in UK rations, already very severe, in 1945-1946 because as one of the “victors” the UK had to send food to Germnay. Matters would have been different if the UK had resisted a German invasion of England which had subsequentlybeen successful. However, it is doubtful that Hitler could have invaded England in 1940, even after Dunkirk. A successful invasion entails landing sufficient men (I would thank at least 100,000) in one or two days in order to avoid being thrown straight back into the sea. It also entails major logistics arrangements to supply the invading troops by sea. Germany simply did not have anything like sufficient resources to do this in 1940. The Jews would not have fared well; but the extermination policy was not introduced until late 1941. If the Royal Navy had not been at War with Germany, the Jews might instead have been expelled, e.g. to Madagascar, admittedly in very unattractive circumstances. “Secondly, The United States made Britain pay through the nose for lend-lease”. The Marshall Plan after the war was extremely generous. The portion the UK received that didn’t have to be repaid was equivalent to an entire years public expenditure. What about the Guardian getting its readers to write to individual Americans pleading with them not to vote for Bush? More directly, I know plenty of young activists who’ve been over to the USA for election campaigns, just as young Republicans came to help out the Tories here. I see no reason why people shouldn’t take an interest in international politics. It’s not as if the Presidency of the USA doesn’t affect Britain. I stand corrected on this occasion. The parliamentary electorate figures for 1st Dec 2015 have been published. This is the data to be used in the forthcoming boundary review. The biggest numerical drop is in Canterbury, from 78,850 to 68,695, followed by Ilford South, Cambridge, and Slough. Ilford South and North being so high a bit of a surprise… suggests demographic change there is as much white flight as ethnic population moving in? Also, narrative that student seats would have massive losses not really borne out. Yes, Canterbury and Cambridge in the top three. But Bath and Loughborough have had the biggest increases. According to the experts on Vote2012 the quota is 74,769 with a range from 71,031 and 78,507. @Andy JS, Thank you for posting about the new figures for Voters 2015. I always seem to miss this, and then have to do ‘catch up’ later on. Will this be the first time that the figures will be influenced by Individual Voter Registration? IF so, this will start to cloud up any inferences drawn about demographic change. i.e. how much is demog. change how much due to IVR. The total change in voters 2014 to 2015 is a drop of 1.2% across the whole of England. The drop in the electoral roll fiigures for Canterbury is huge and needs investigation, particularly as some of us regard the supposedly neutral election officials in this area as on occasion behaving questionably. Successive Governments have been more interested in saving money than protecting democracy; but can I suggest that there is an urgent need to require every local council, not just Canterbury, to canvas every house and potential dwelling place in their area – perhaps even the park benches and the covered entrances of shops such as Superdrug, to identify everybody living in the area. And they should go back where people are out..
Leaving aside electoral registration, there are other very ugent reasons why the local councils should identify everybody in their area by, among other means, a regular, at least annual, census. One such reason is to round up (and nb then deport promptly) all illegal immigrants. In addition it ts essential to contact anybody being held out of public sight, e.g. slaves (yes, there are currently slaves in Britain) and people being held incommunicado for sexual reasons. It is odd. You wouldn’t have expected Canterbury to have had the biggest drop of any constituency in the country. There must be something demographic going on, I’d have thought. Possibly exacerbated by students (though it is far from the case that all student seats have seen large drops, some have seen the largest increases). I think this might well reflect whether or not individual universities had arrangements with the local autorities to complete IVR forms as part of their course registration process. My son only found out he was on the electoral register in York when his voting card arrived. He voted in Batley and Spen beacsues I hasd ensured he’d arranged a postal vote. His flatmate who hadn’t bothered to arrange a postal vote, voted in York Central, once he new he could. If those universities who haven’t made these arrangements, do so in the future, as I suspect they may be pressured to do, then some of these elecotates will increase significantly again in January 2017. Could this lead to challenges to proposed new constituencies being upheld? We need to have more uniform and comprehensive and not least accurate registration arrangements. I would have thought it would be easy eoungh to set up national arrangments for all universities to provide Electoral Registration Officers with lists of their full-time British students (and of their overseas ones who should NOT be on the register). Prehaps I could point out that the “Kentish Gazette” reported this week that the number of students actually peaked in 2011 and is now actually falling, if not drastically. However, the major problem is that, whatever is done to improve registration for 2017 and subsequent years, the boundary revisions will take place on the basis of this year’s electoral roll. If the electorate of Canterbury is artificially low because of the way that this year’s electoral roll was drawn up, the electors of Canterbury will be under-represented for the next decade or more.. In my view the options in the South-East corner of Kent are limited because we are right in the corner of the country. It is moreo r less impossible to avoid having either one or two seats for Thanet, depending on how closely the boundaries are drawn to separate out Margate, Broadstairs and Ramsgate. This then more or less ensures that there will be a seat for the area between Thanet and Canterbury including Herne Bay, Sturry and very likely parts of Whitstable. In 2012 the commissiioners would have called this seat Herne, but I would have thought that it should be Fordwich and Herne, reflecting the fact that Fordwich is the only borough in the area. There would then be a seat for Canterbury itself, probably including at least some of Whitstable and possibly Faversham (as was suggested in 2012). The Fordwich and Herne seat would be safe Conservative, although it is liable to change considerably in terms of its demography. The Canterbury seat is almost certain to be marginal, and might well go Labour at some point ( as it nearly did in 2001 on the current boundaries). It might be observed that the initial 2012 proposals could hardly have been more favourable to the Conservatives. However, the rate of demographic change in our part of the world is such that the new boundary proposals are unlikely to be the same as those in 2012. It is doubtful how far it is worth worrying about the boundary changes until proposals are published later in the year. However we can always speculate! In fact, I think it increasingly possible that the 2020 election will be fought on the current parliamentary boundaries. Short of gross gerrymandering, the proposed new boundaries will strongly favour the Conservatives as opposed to Labour. However, there are bound to be some Conservatives who will lose out in their own seats, particularly as the total number of seats is to be reduced. As the current parliaments looks likely to become increasingly fractious and the overall Conservative majority is small, it is far from inconceivable that an alliance of Labour MPs and Conservative rebels will vote down the boundary changes. But about this we will have to wait and see.